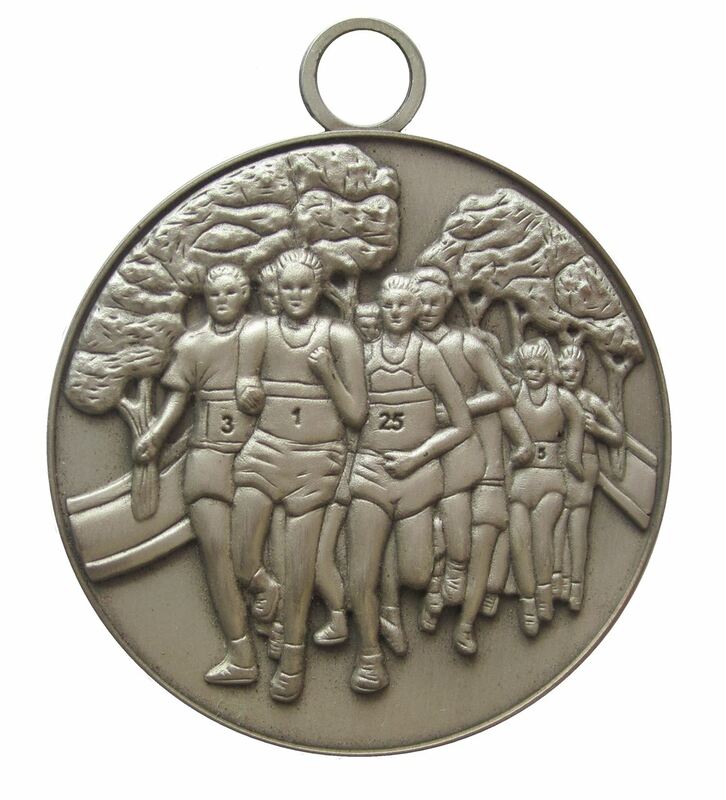 The Economy Running Medal is beautifully embossed with a crowd of road runners on the front. 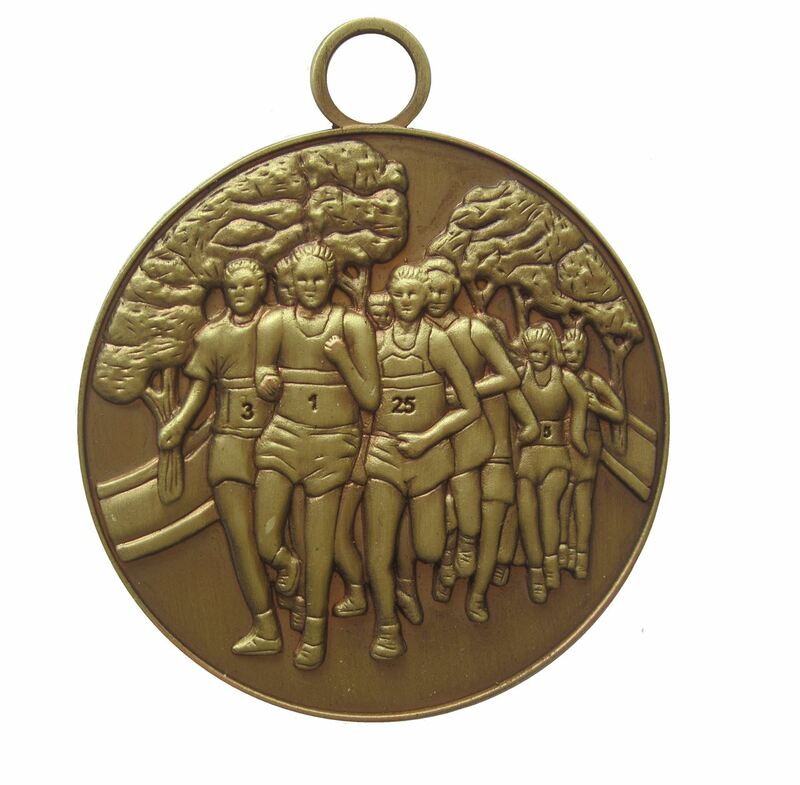 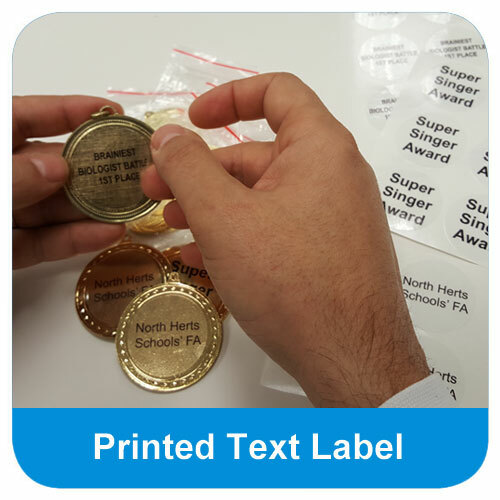 The back of the medal is embossed with a laurel wreath. 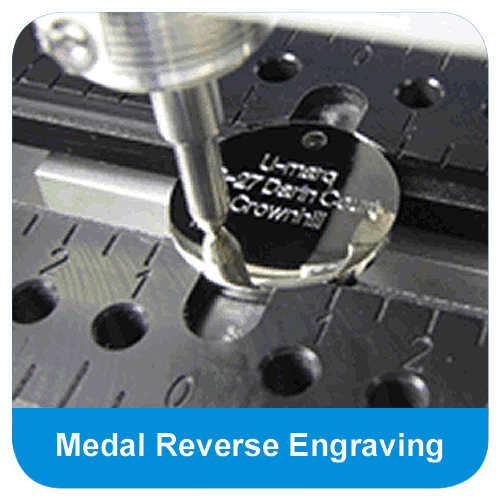 Cast from metal. 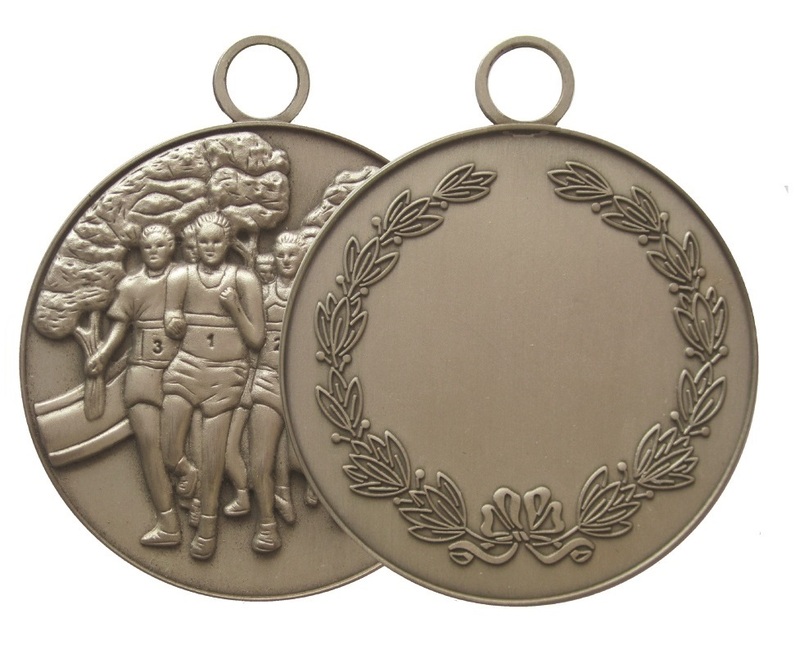 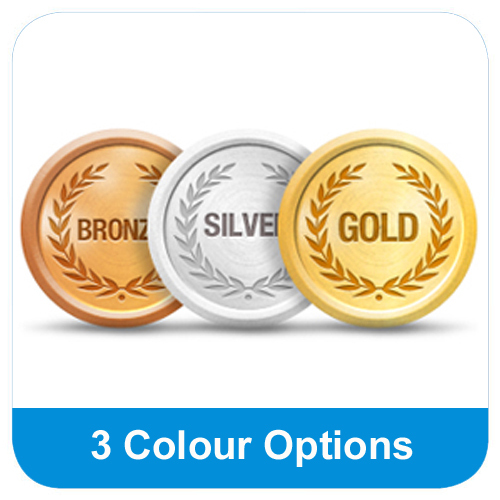 The back of the Economy Running Medal is embossed with a laurel wreath. The front of this metal medal is embossed with a crowd of road runners.